Blurb Description: Kait Whittier has built her magazine column into a hugely respected read followed by fans across the country. She loves her work and adores her grown children, treasuring the time they spend together. But after two marriages, she prefers to avoid the complications and uncertainties of a new love. Then, after a chance meeting with television producer Zack Winter, everything changes. Inspired by the true story of her own grandmother, Kait creates the storyline for a TV series. Within weeks, Kait is plunged into a colourful, star-studded world of actors and industry pros who will bring her vision to life, from the reclusive grand dame to LA's hottest bad boy actor. As secrets are shared and revelations come to light, the cast grows closer. 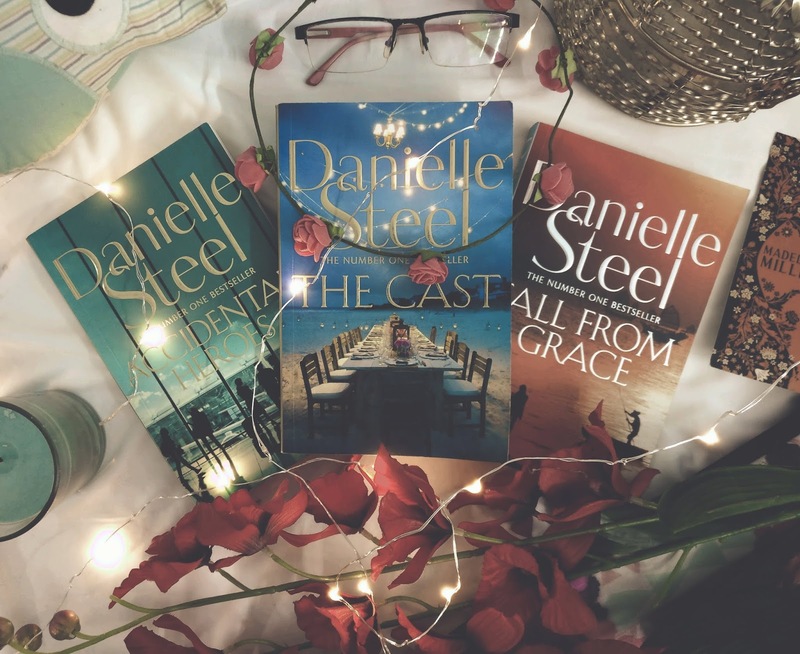 But in the midst of this charmed year, Kait is forced to confront the greatest challenge a mother could ever know and this unforgettable cast becomes more important to her than she ever could have imagined. I have two other Danielle Steels’ currently sitting on my TBR, but I picked The Cast up first because of its ABSOLUTELY GORGEOUS COVER. Like how STUNNING is that? The Cast is essentially the story of a middle aged woman, who through hard work and a little bit of luck, gets a bible picked up by a big time executive producer and suddenly her life changes. It’s also about her family, and her three children. 1. If I were to describe this book in one word, or an emotion that I feel looking back at it, it would be ‘Disconnect.’ Told in third person, I not once felt connected to the variety of characters in the book, or even felt anything like happiness or grief when Kait Whittier, the main character, went through events that cause her either. 2. I mean, KAIT’S DAUGHTER WAS BOMBED AND KILLED WHILE MAKING A DOCUMENTARY AND HER GRIEF WAS SO… PAPER THIN. All I read was “Grief threatened to overtake Kait” but I never once felt it. 3. Also, everyone in this book was just so MECHANICAL. There were always logical, mature choices being made for EVERYTHING, but does life really… work like that? Especially in Hollywood, when it comes to family and DEATH of a child? - THE PLOT OF The Wilder Women, which is the TV Show Kait wrote. It had such a wonderful story, and I honestly would love to see Women in Aviation during WW II on a real TV screen. - Kait and Zach had this ultra-adorable romance, which I loved and I also loved how her kids teased her about it. - I loved Maeve, Agnes and Kait and the supportive, constructive relationship they had with each other. 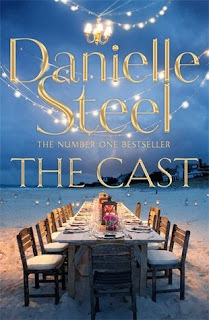 VERDICT: Connecting with SOMETHING in a book is probably the most important thing for me while reading, and so I don’t really recommend this unless you’re already a Danielle Steel fan, and I probably won’t be picking up another book from her for a while now. 2.75 stars. Have you read any Danielle Steel books, or The Cast?